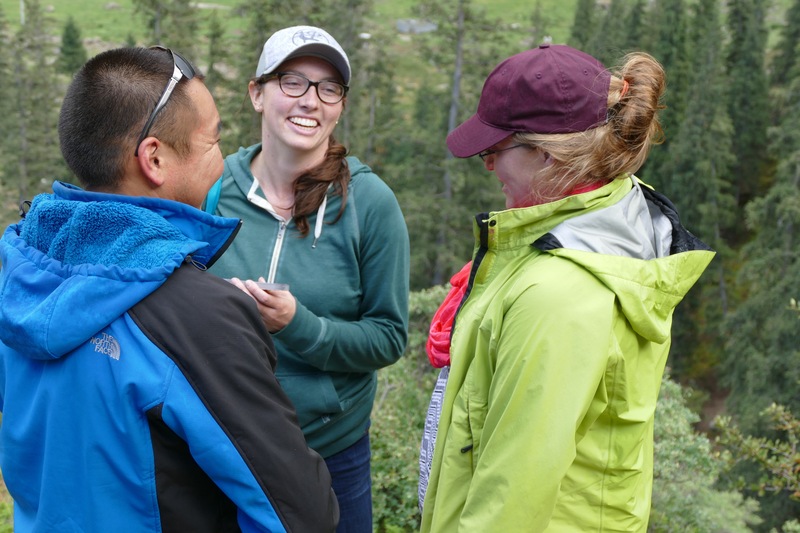 The North Central Washington delegation to Kyrgyzstan has a decidedly youthful flavor — a third of our group is under the age of 30 and they have truly enhanced the experience for all of us. Randy Smith, who launched this people-to-people effort six years ago to build relationships and break down barriers, said he made it a priority to recruit talented young people. His effort succeeded beautifully and the energy and passion they brought made this trip rewarding. 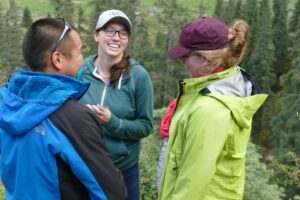 Katie Tackman and Sarah Lindell are Eastmont High School graduates in their late 20s who became friends early in life and who have traveled the world individually and together. Tackman is a graduate of Whitman College with a degree in environmental science that has a seasonal job with Chelan County Public Utility District doing work in fisheries. She also works at Badger Mountain Brewing Co. Tackman was a Rotary exchange student to India in high school and taught school for two years in Japan. She’s bright, boundlessly energetic and endless curious about the world around her. 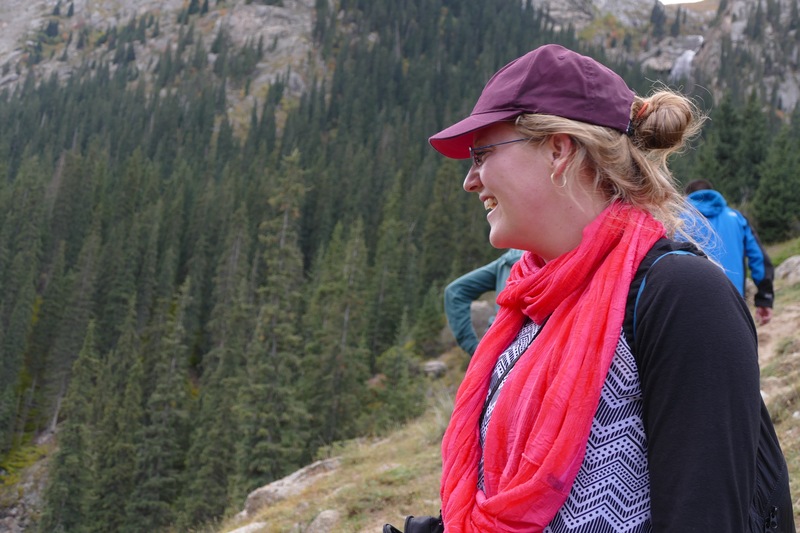 Her friend Sarah Lindell works at Cashmere Valley Bank’s as a financial advisor and was encouraged to get involved in the sister-region relationship between North Central Washington and the Kyrgyzstan state of Issyk-Kul by Douglas County PUD Commissioner Ron Skagen, who has visited Kyrgyzstan previously. 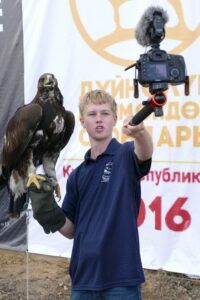 Jorgensen is a talented young filmmaker who won the young filmmaker award at the Leavenworth Film Festival last year and used his $250 prize money to help fund the trip to Kyrgyzstan and Uzbekistan. He’s the son of Josh Jorgensen, the general manager of Mission Ridge Ski and Board Resort. Jorgensen has been busy posting video blogs of our trip and will be developing a video presentation to bring back to community groups in our region. He’s a talented and driven young man who was in his element in this part of the world. 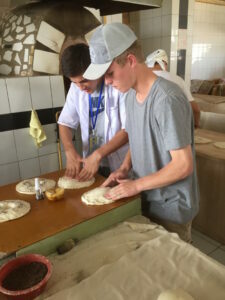 When we toured a bakery that made thousands of loaves of the Central Asian version of Naan, Jorgensen was invited to try his hand at preparing the dough before baking. He jumped right in and looked like he was right at home. Jorgensen is also in the middle of writing a script to produce a movie that he will enter in the National Film Festival for Talented Youth. He is focused, driven and highly creative and he has the talent to go far. I was so impressed with all three of these young leaders who have a zest for life, want to make a difference in the community and the world at large and are willing to step up and make a difference. Our community leaders need to start finding opportunities for talented young leaders like these three to take charge of important projects and let them make important contributions.